Photo Corner offer open-air photo booth hire in the Sydney area. Our photo booths are perfect for weddings, corporate events, activations and private parties. We offer a unique, quirky, fun and affordable photo booth experience that will have you and your guests laughing for days. Welcome to Photo Corner! We think life is for celebrating, and we believe in spontaneous poses, group selfies, cupcakes and moustaches on sticks. 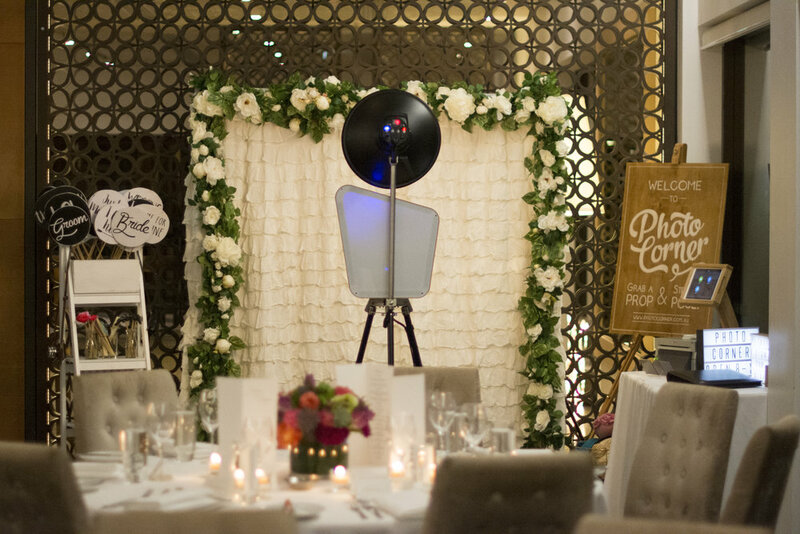 Our stylish photo booths are designed to blend perfectly into any venue, adding an extra touch of class to your event. And because it’s an open-air booth, there will be plenty of space for all of your friends and family to get involved (group selfies encouraged!). 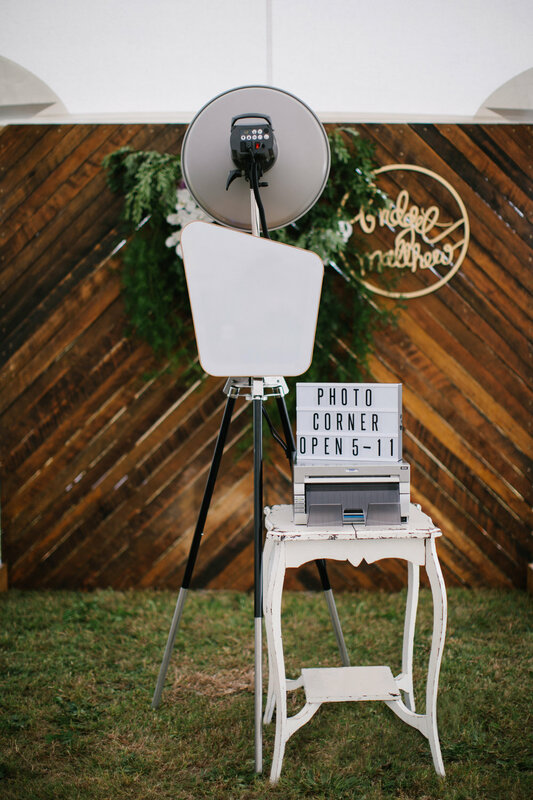 We’ll bring everything that’s needed to capture the fun: lighting, backdrops and props that are styled for your event, and a friendly photo booth attendant, who will be there to oversee the merry-making, and make sure you and your guests have got as many prints as you want. We think that every moment and angle of your special day should be captured and kept forever. 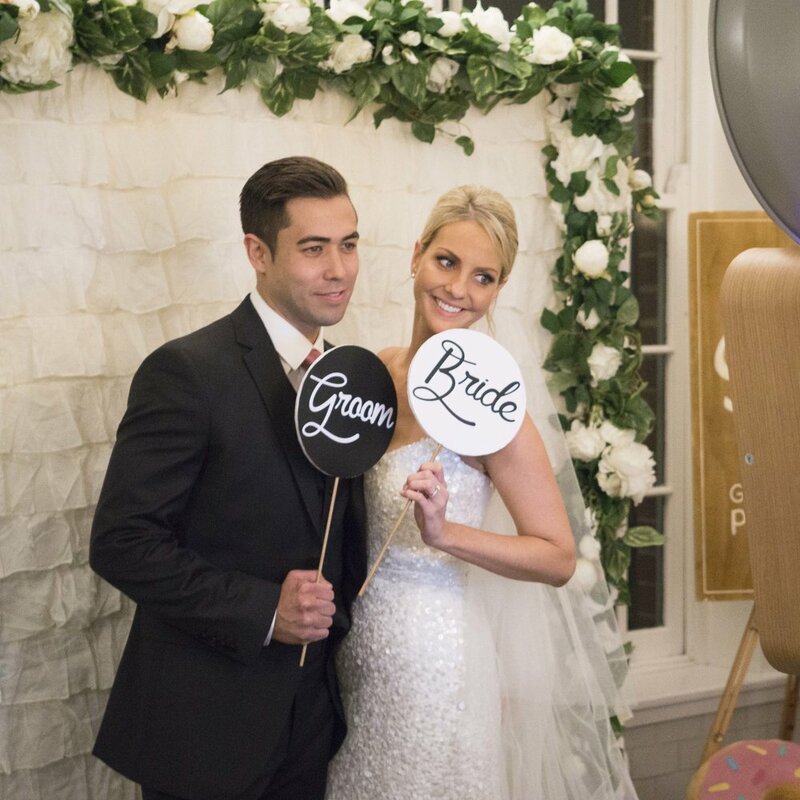 Our photo booths bring your guests together, make them smile and laugh, and give them a special keepsake to remember that moment forever. Meet our booth. We named her Snappy. Her slimline design allows us to fit into the smallest of spaces. Her classic white & wood design blends perfectly into any venue. Her integrated touch screen allows guests to see themselves in live-view while they strike a pose. Once your guests are finished posing like rock stars Snappy will display the finished photo for thumbs up all round, then she'll send it straight to our printer and even let you share it on social media. We think she's pretty nifty and we think you will too! If it didn't happen on Facebook did it even happen? Send your photos straight to social with our Social Kiosk. Share the fun! Our Social Kiosk allows your guests to view and share their photos via Email, Facebook, Twitter & SMS. They can even print extra copies from the kiosk and did we mention it's super cute set up next to the booth as a geeky sidekick. This little bundle of social sharing goodness is included in every package. 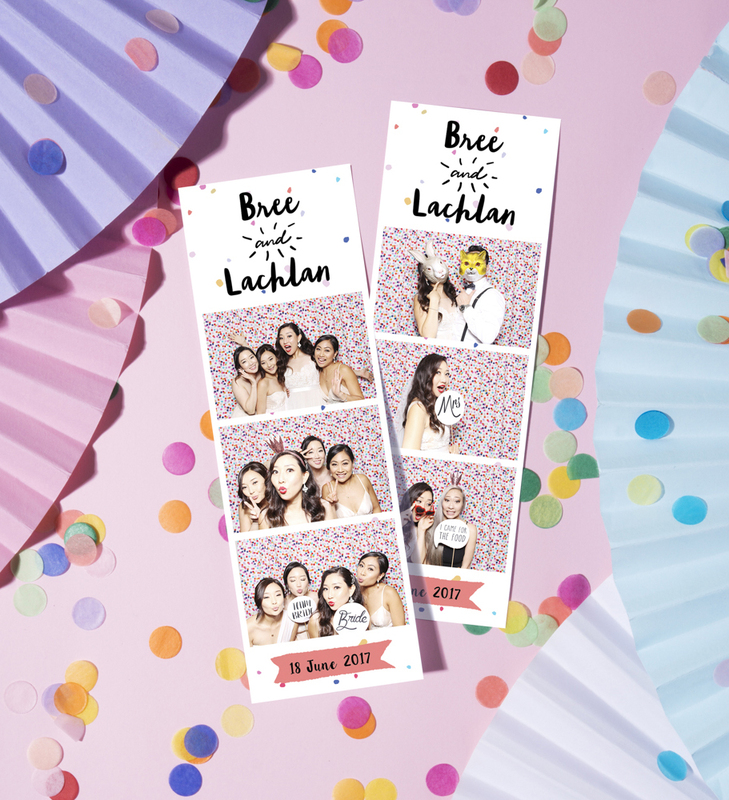 All our photo booth packages include unlimited instant printing. When we say unlimited, we really mean unlimited. 8 people in the photo... collect 8 prints and pass to "I need a bigger fridge for all my photos!" Choose from a range of layouts and styles. Add your logo, personal message or have us custom create a print design to match your event. The possibilities are endless! Our guest books make the perfect keepsake for weddings or that extra special event. Filled with photos and personal messages from your guests, your guest book will be a source of laughter and memories for years to come. Our guest books are hand made in Tasmania, they feature pine engraved covers, tan leather binding & 60 white acid free pages. We'll take care of all the extras too; acid free glue tape, black gel pens, a wooden pen holder and a framed display sign. 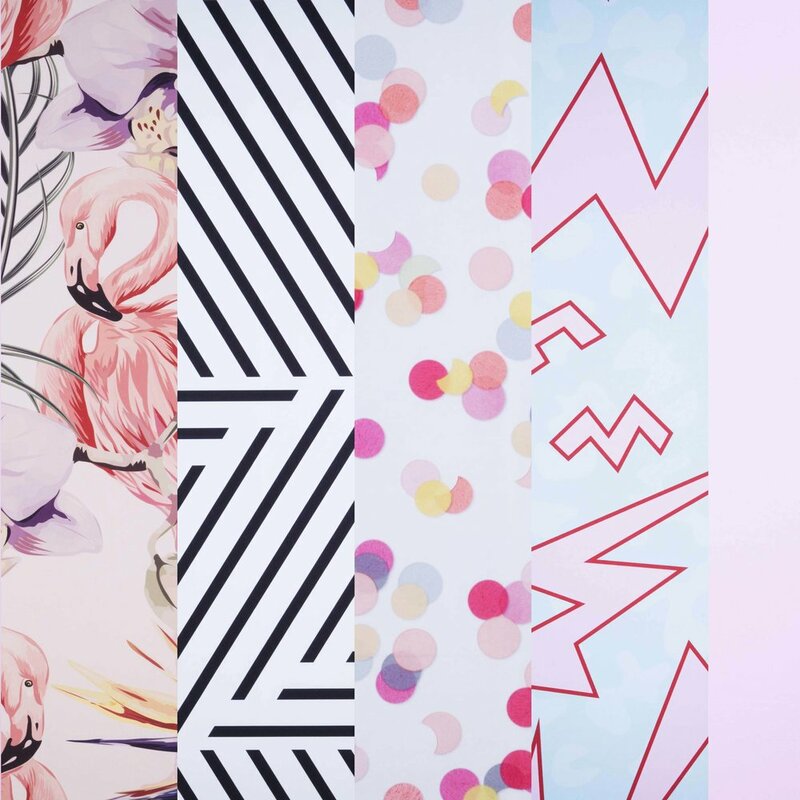 Make your photo booth stand out with our range of awesome backdrops! Click the button below to see our full collection. Don't see anything you like? Not to worry, we love creating new backdrops. Contact us for more details and pricing on a custom backdrop. When it comes to props we're strong believers in less is more. We will provide you with a selection of high quality props to suit your event, theme and backdrop. Your props will be displayed on a ladder shelf & gold basket, so they not only look good but are easy for guests to sort through and pick out their favourites. Our props are hand picked and crafted to act as the perfect accent without stealing the show. After all, it's all about the people right? Hell yes it is! Let your guests be the stars and let our props be the quirky side kick. 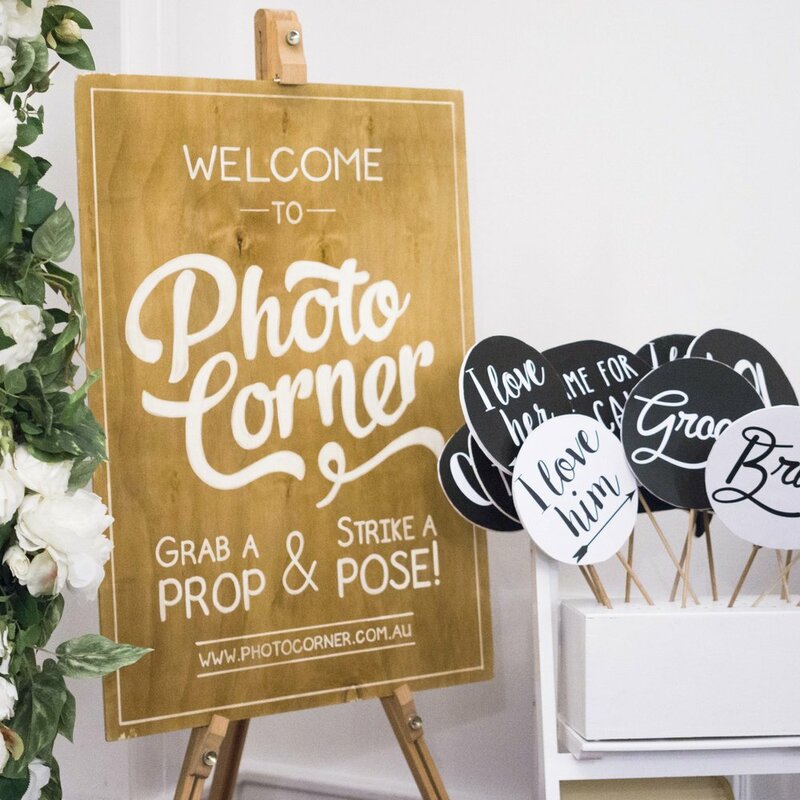 WANT PHOTO corner TO LIVEN UP YOUR NEXT EVENT? "Photo Corner is the best booth ever! We’ve been told by all our guests that it was so much fun and that they loved how it was open air and was able to fit groups of people at a time! They also loved the props and that they were able to print as many photos as they wanted! The photo booth almost beat our ceremony, it was that good! It gave my husband and I so much joy to see our loved guests having so much fun. It added to our precious life time memory. "Thanks so much for an amazing time with the photo booth. All my friends and family absolutely loved it! The photo album is amazing too! Think of us as a mini photo studio with room for you and all your friends! We provide a pop-up backdrop, studio lighting, an interactive touch screen with live view, instant printing, a friendly photo booth attendant and some of the coolest props imaginable. We are located in the Sutherland Shire, Sydney. We service Sydney, South Coast, Southern Highlands, Hunter Valley and pretty much anywhere we can drive to. Additional travel fees may apply for areas outside of Sydney. SO, WHAT HAPPENS TO MY PHOTOS AFTER MY EVENT? Within 72 hours of your event we will upload your images to a password protected online gallery. From the gallery you can download and share your high resolution photos. We do! We have an ever-growing selection of gorgeous props -- moustaches galore, hip glasses, and vintage hats. Have a theme in mind? We'd be happy to help you source the props you need. DO YOU HAVE INSTANT PRINTING? We most certainly do! Our printer will have your smiling faces printing in ink before you can say "Photo Corner Rules!". DOES MY HIRE TIME INCLUDE SET-UP AND PACK-DOWN? You do not pay for the time it takes us to set up and pack down. We will arrive at your event two hours before your hire time begins to set up. We will begin to pack-down five minutes after your hire has ended. Please let us know if you require an earlier set up time. WHAT EQUIPMENT DO YOU USE IN THE PHOTO BOOTH? We use top-of-the-line digital technology. We operate with a Canon digital SLR camera and the most trusted studio lighting equipment. Your photos will be of professional quality. We have very clever software that helps us with this. Our touch screen starts a count down to a sequence of photos with 3 seconds in-between each photo. Either your guests can touch the screen to get things started or our friendly attendant can touch it for them. You will be able to view all your photos instantly on the screen displayed. HOW MAY PEOPLE CAN YOU FIT IN THE PHOTO BOOTH? You can fit an entire flock. We don’t like squashing people into confined spaces so we set up a whole area for your photo taking pleasure. We can fit anywhere from 2-12 people in the booth. WHEN IS THE BEST TIME TO HAVE THE PHOTO BOOTH? For private events (like weddings and birthdays), consider a time when your guests will be relaxed, for example after the first hour so guests have had a chance to mingle and have a drink. At expos and promotional events, the flow of people is often quite different and we will work with you to customise a package to give you the most value for money. Please contact us to discuss your requirements. HOW LONG SHOULD I BOOK THE PHOTO BOOTH FOR? Our minimum hire time is 3 hours. We find 4 hours is perfect for most weddings with 200 guests or less. If you're having more then 200 guests or just want to maximise the photo booth time 5 hours is recommended. Every event is different so contact us for help deciding on the perfect coverage for your event. WHAT ARE YOUR ACCESS REQUIREMENTS? We require access to a stable source of 10 amp power. We can set up outside but we need to be fully protected from rain and wind and direct sunlight (under a marquee for example). A solid, level surface is best with min 3m x 3m floor space. It's always good to discuss the specific details of your venue with us, but as long as all of these things are in place, we should be good to go! You can take as many as you like, there’s no limit! If there’s someone standing in front of the camera we’ll be clicking the shutter.